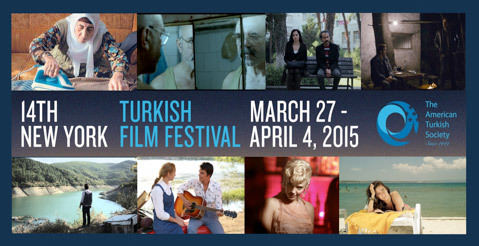 The American Turkish Society is proud to present the 14th New York Turkish Film Festival. With the generous contribution of the premier sponsor Chobani, the festival will be held on March 27- April 4, 2015 at the School of Visual Arts Theater. This year’s festival will screen a selection of eight remarkable feature films, bringing the best of contemporary Turkish cinema to audiences in New York. Our selection includes films by established masters as well as emerging new voices that have enjoyed domestic and international festival success. The selected films explore a diverse range of subjects and themes including the human – nature relationship, the consequences of urban gentrification, the expression of cultural and ethnic identity, and the complexities of family dynamics.